NI Screen, Ulster University and Queen’s University Belfast were the main beneficiaries of £323million financial support provided by Invest NI. This forms part of a special report by Detail Data on the financial support Invest NI provided to Northern Ireland companies between April 2011 and September 2014. The main findings of which can be accessed here. The three organisations were offered £107million over three and a half years with Ulster University receiving £23million and Queen's University £19million. Both universities, which received a total of £180million funding in 2014/15 from the Department for Employment & Learning (DEL), said that the Invest NI support was targeted towards vital research. That research included fire testing at Ulster’s Jordanstown campus, which helped develop new concrete fire and blast proof panels through its spin-out company Vifkon. Commenting on the Invest NI funding, Professor Tony Gallagher, Queen’s University’s pro-vice-chancellor explained: “It's a small proportion of the external research grants we get, but it is a very important one because it is part of our broader commitment of working with business and industry here. Government cuts of more than £16million this year to higher education have forced both universities, which make a major contribution to the local economy, to reduce student and staff numbers. Of the breakdown Detail Data received, the four highest Invest NI awards were made to NI Screen. One grant was £42.8million for its `Opening Doors’ four year strategy which NI Screen projects should deliver almost a £251million spend in Northern Ireland and create 2,800 jobs by 2018, with an estimated spend on direct employment in Northern Ireland of almost £108million. Responsible for the film, television and digital content industry, NI Screen has attracted hit shows like HBO’s Game of Thrones, Universal Pictures’ Dracula Untold and the BBC drama The Fall to Northern Ireland. Such has been its success that in 2011/12 it was tasked with boosting the economy by £24million – just three years later that target had more than doubled to £56million. 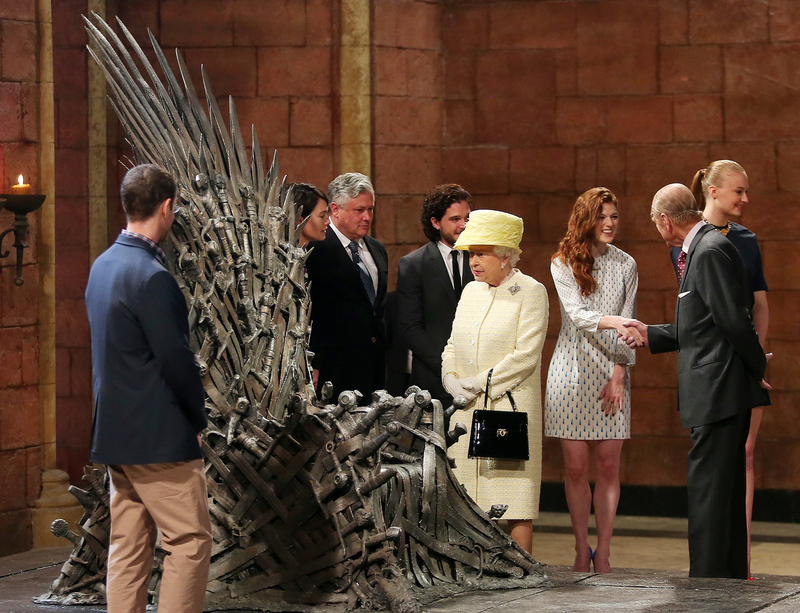 And in 2014 the Queen visited the set of Game of Thrones and referenced the Belfast visit in her annual Christmas speech. But Detail Data can reveal that because of the tight economic climate Invest NI has had to reduce the offer to NI Screen from £10.7million a year to £8million. The annual £2.7million shortfall is subject to additional money being made available through the Executive’s monitoring rounds where unspent public money is reallocated. Invest NI said: “In the prevailing macro-economic environment Invest NI is subject to budget constraints like all other government bodies and since Invest NI is funded on an annual basis it would have been a challenge to commit to the full £42.8million of funding at that time. Invest NI confirmed that NI Screen secured the full £10.7million in 2014/15 and 2015/16. However, 2016/17 and 2017/18 will be subject to Invest NI having sufficient budget cover. Opening Doors, NI Screen's strategy for 2014-2018 remains on track to deliver against targets, according to Invest NI and an independent interim evaluation of the strategy will take place in 2016/17. It has also emerged, however, that a lack of available studio space in Northern Ireland is a barrier to growth for the industry and has already caused the loss of one large-scale project. And minutes from a NI Screen board meeting in June 2014 stated: “The CEO updated the board on discussions with Disney and on the need for new sound stages”. Minutes of June 2015’s NI Screen board meeting warned: “The availability of sound stages or appropriate build space remains the biggest barrier to successful delivery of Opening Doors. A business case proposing to take a short term lease to partially address this issue is under consideration by the Strategic Resources Committee, the Investment Committee and Invest NI. NI Screen declined to answer any of the questions Detail Data put to it saying “thank you for the opportunity but we do not wish to respond”. To read case studies on the top 10 Invest NI funded companies click here.